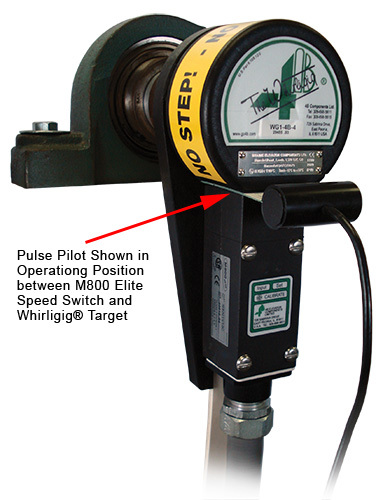 The SpeedMaster™ with Pulse Pilot is the only device that accurately tests the calibration of a speed switch, and allows testing of the 10% alarm and 20% shutdown features of the sensor while installed on the machine shaft. The Pulse Pilot fits between the gap between the sensor and the target. The Pulse Pilot will have no effect on the operation of the speed switch until it is connected to the SpeedMaster™ and set to Output mode. The M100 Stopswitch is a simple inductive shaft speed monitoring device. The self-contained unit has a single set point, which signals when the shaft has stopped rotating. It can be used for process control, motion detection and stopped shaft indication. An inductive sensing device located in the nose of the M100 enclosure will detect a metal target. This target can be an existing bolt head or device attached to a shaft. The M100 Stopswitch requires no calibration and provides an output when the shaft has stopped rotating. The M300 Slipswitch is a simple inductive shaft speed monitoring device. The self-contained unit has a single set point, which signals when the shaft speed has dropped by 20% of normal running speed. It is used for detecting dangerous slow downs and underspeed on conveyors, bucket elevators, airlocks, mixers, fans, grinders and many other machines. An inductive sensing device located in the nose of the M300 enclosure will detect a metal target. This target can be an existing bolt head or device attached to a shaft. Do I need to remove any parts from my Whirligig / Speed Switch assembly in order to use the SpeedMaster™? 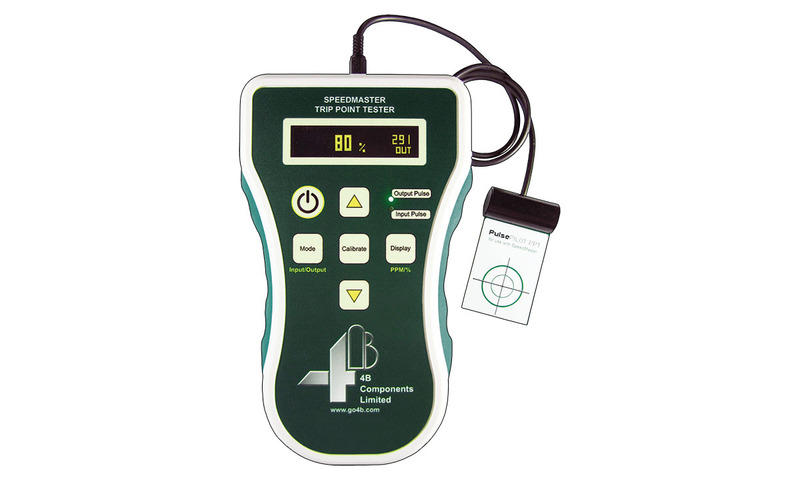 No, one of the features of the SpeedMaster is that you can test the 4B Speed Switch without changing the installation or wiring of the sensor. Do I need to stop the machine before I can use the SpeedMaster™ for diagnostics? No, the Pulse Pilot of the SpeedMaster™ can be inserted between the Whirligig and Speed Switch while the machine is running.